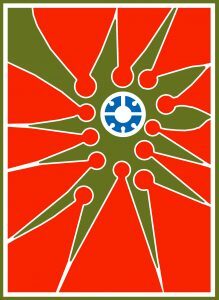 Central P.A.R.C. is home to our Peer Academic Leaders Program. Peer mentoring is an important aspect of college life at Founders as the program offers an in-depth form of interaction between Peer Academic Leaders (P.A.L.s) and students to create a peer based support structure within the Founders community that extends to students' programs (Majors). Our Peer Academic Leaders are predominantly upper year undergraduate students from programs (Majors) affiliated with Founders College. These student volunteers are here to share their experience, study methods and wisdom with fellow students. P.A.L.s can offer insight into a wide range of information and assistance on adjusting to post-secondary studies, including study habits (preparing for assignments, tests and exams; how to take effective in-class notes; time management; essay writing), where to find on-campus academic resources (i.e. the Learning Commons; the Student Papers & Academic Research Kit (S.P.A.R.K. ); the Writing Centre), and where to access the different student support services offered at York (Counseling & Disability Services, Personal Counseling Services; Health Education & Promotion). 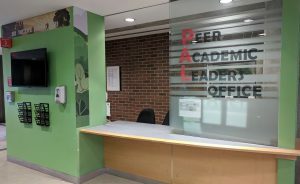 In addition, our P.A.L.s hold their office in Central P.A.R.C., our Peer Assistance Resource Centre. P.A.L.s are available from Monday to Friday in 102 Founders College (The "Booth"). P.A.L.s are trained to address student questions and concerns and to direct students to the appropriate centre or department on campus for additional help if needed. To help support you in your studies, Founders College has extended its Peer Assistance Program to the JCR! Beginning in September and continuing until April of each academic year, our Student Academic Assistants will be present in the Junior Common Room (024E Founders) to provide peer assistance on assignments, essays and study habits. The Student Academic Assistants will be there to help you study, proofread a paper or talk about challenges in your courses. are upper year Founders College students from a variety of our affiliated programs.